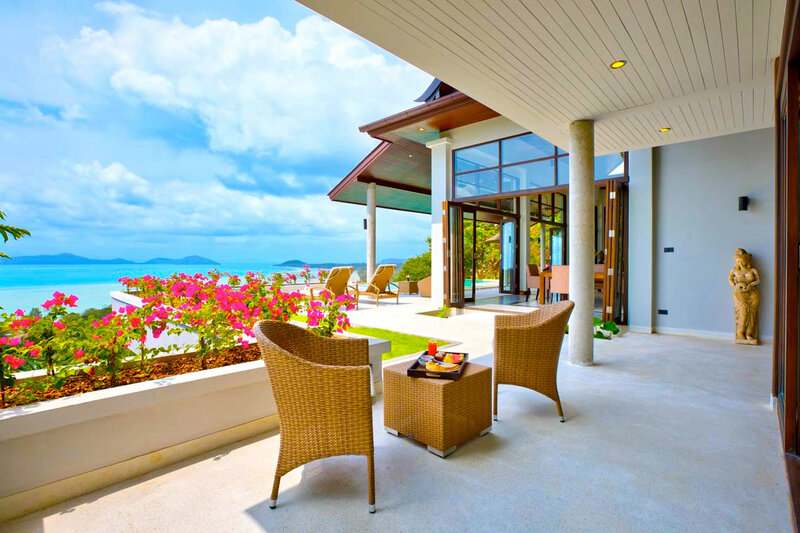 Located on the south of Koh Samui, this island is close to all the entertainment. 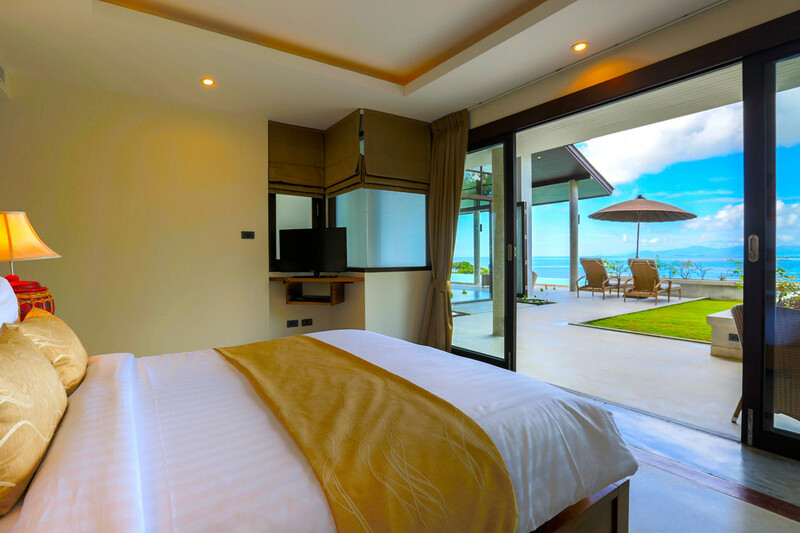 With a short drive to Lamai beach, Shopping centres and bars & nightclubs, the golfing course is located in close proximity as well. 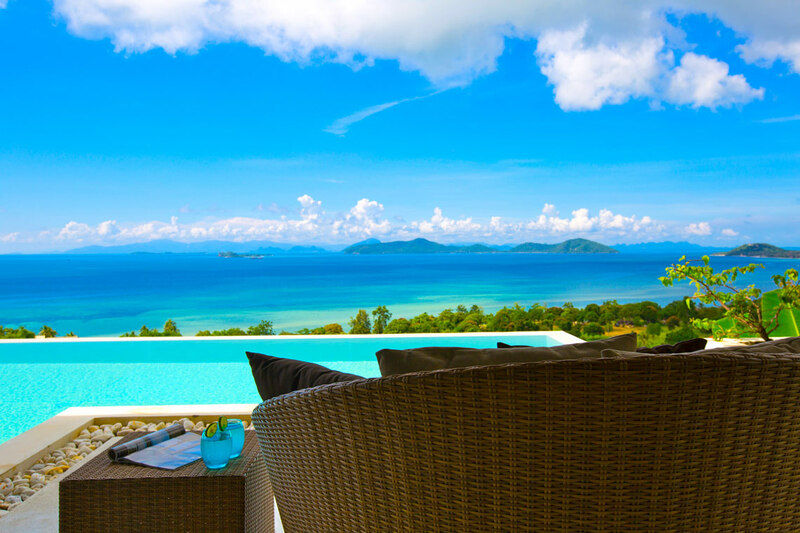 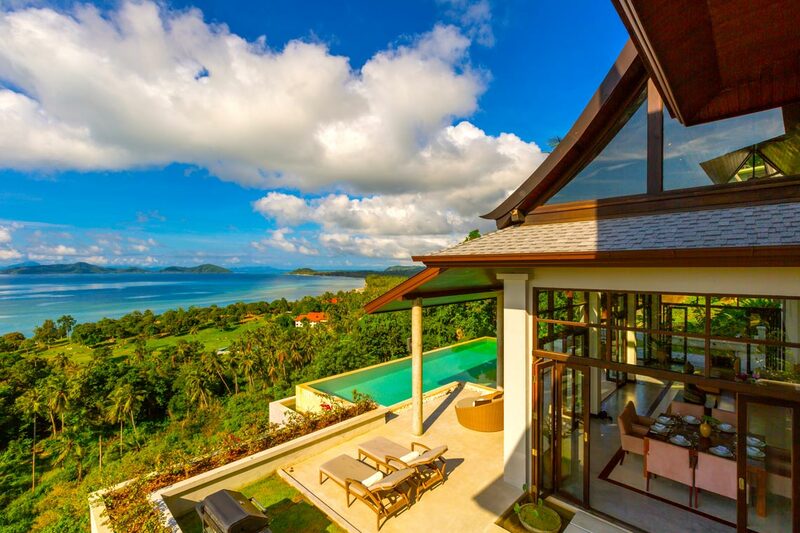 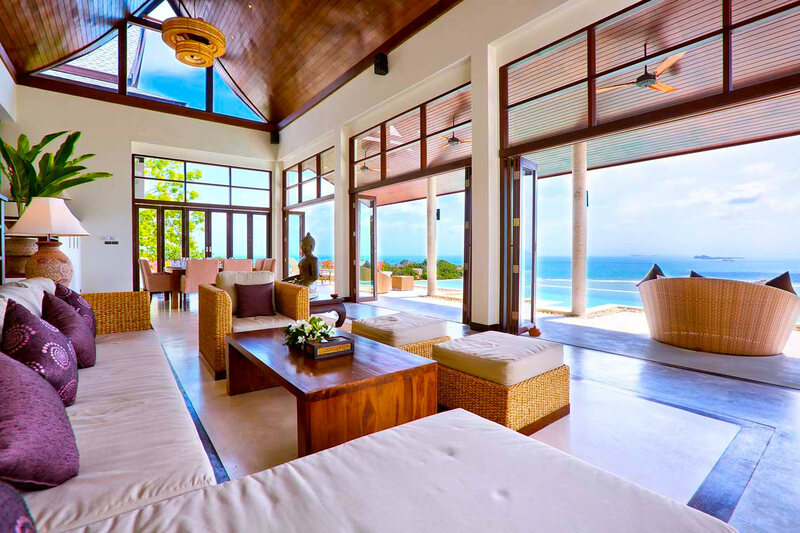 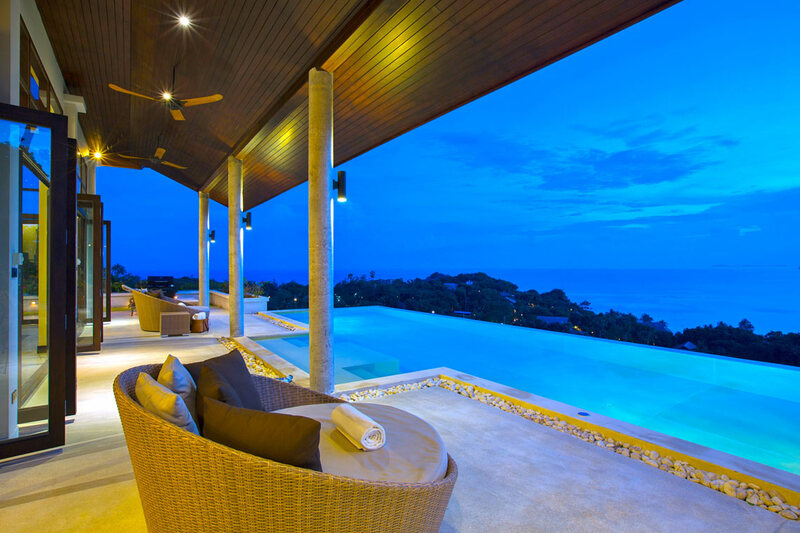 This amazing 4-bedroom villa has splendid panoramic views of the sea. 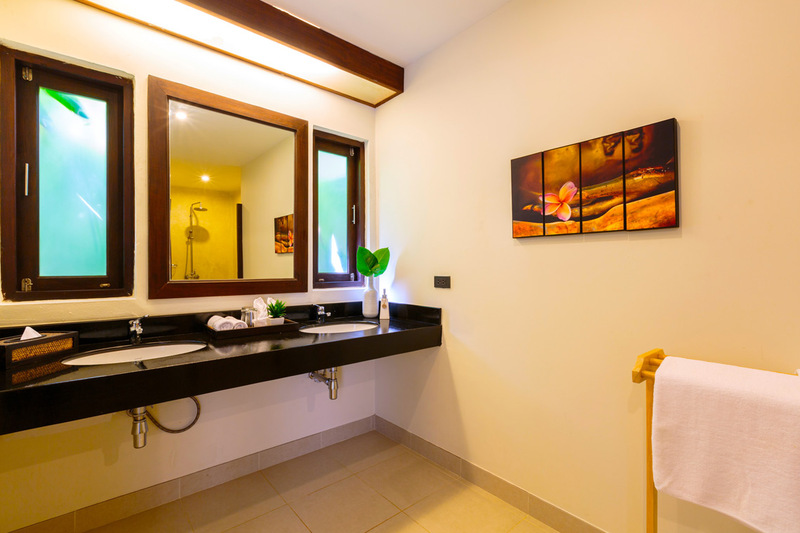 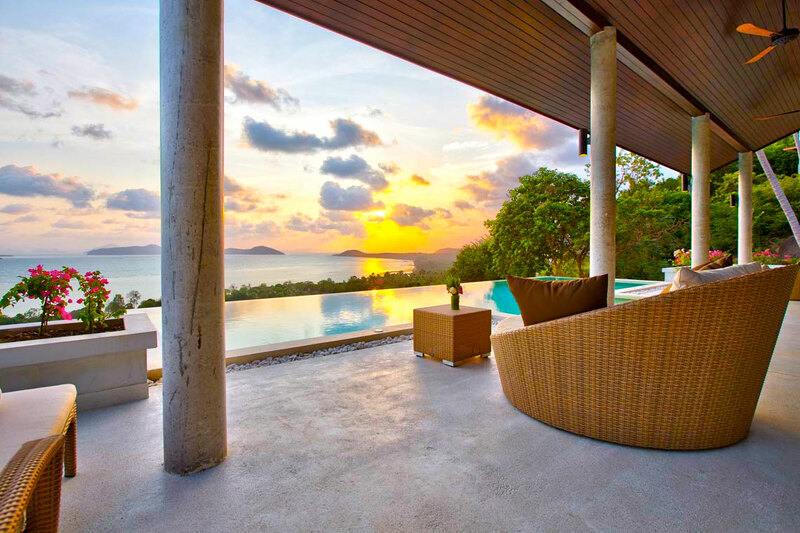 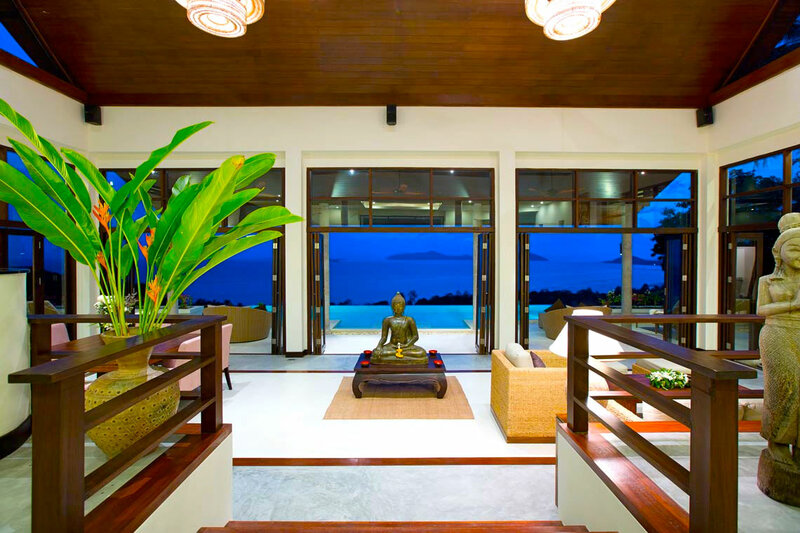 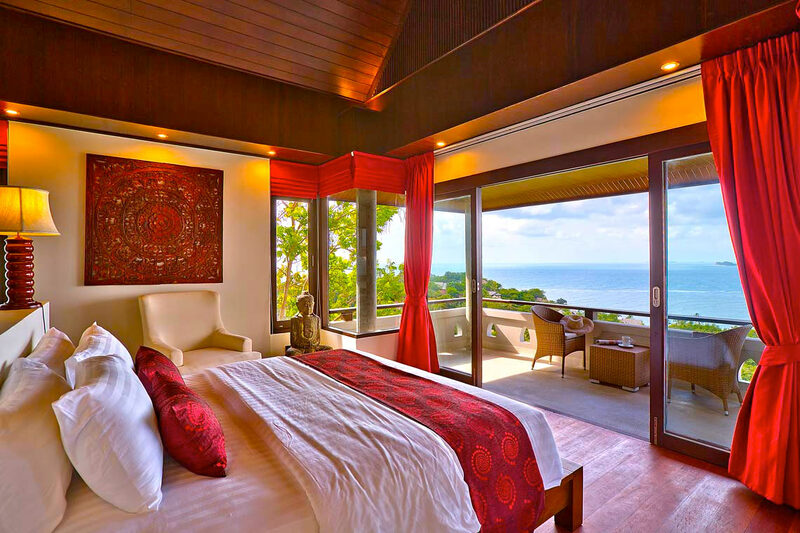 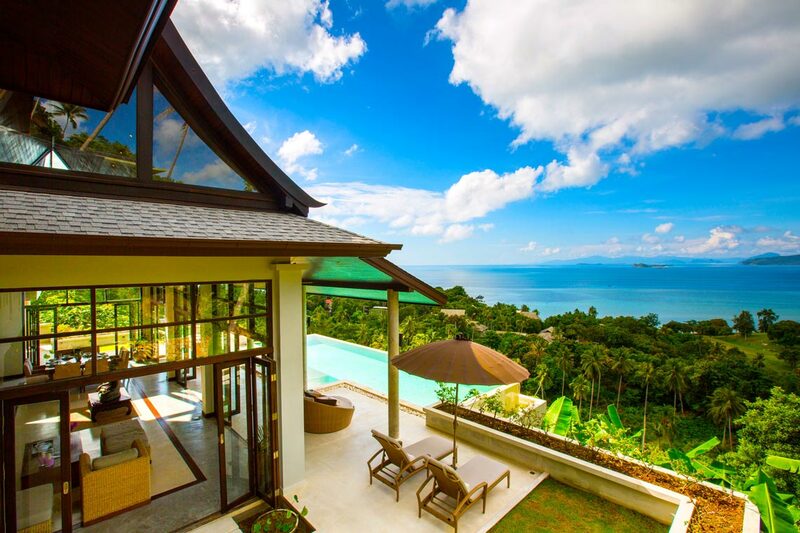 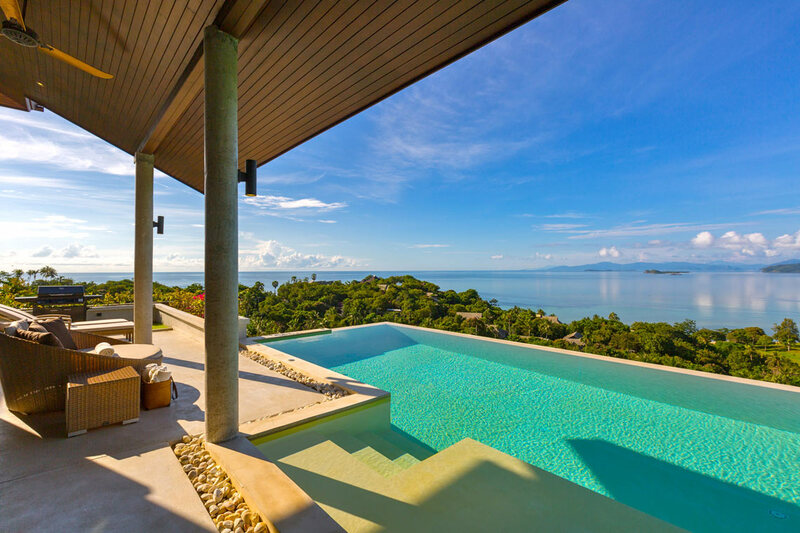 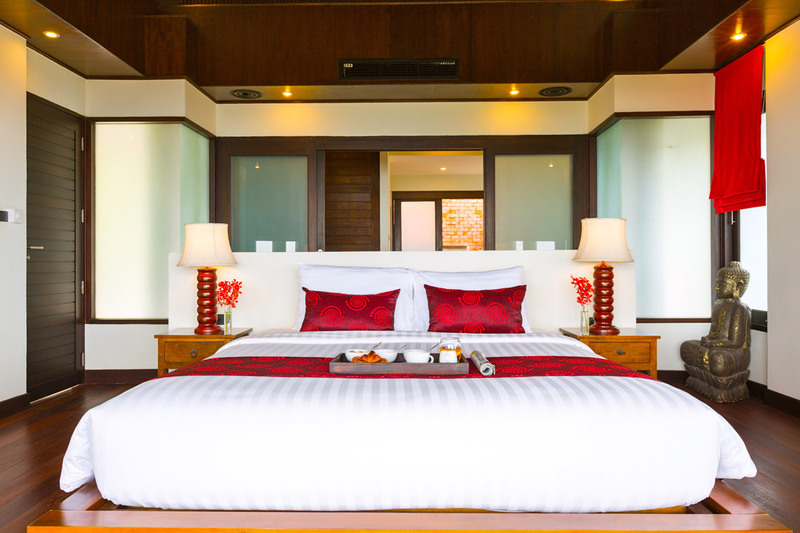 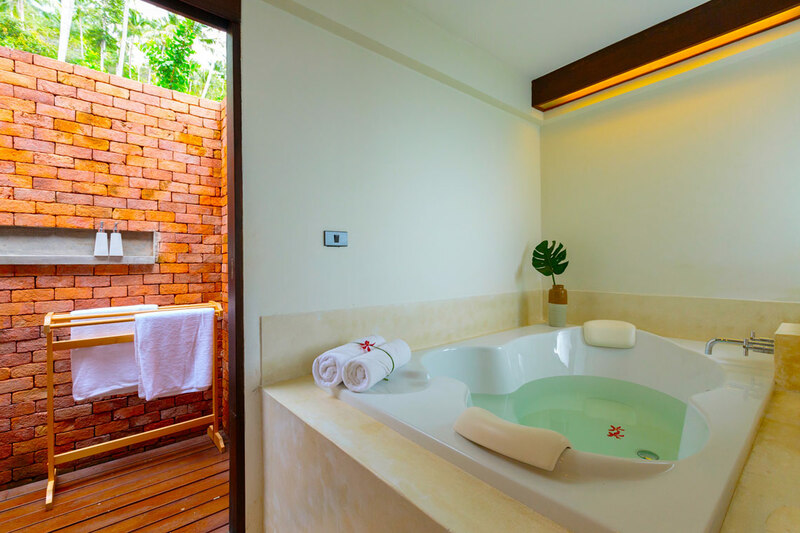 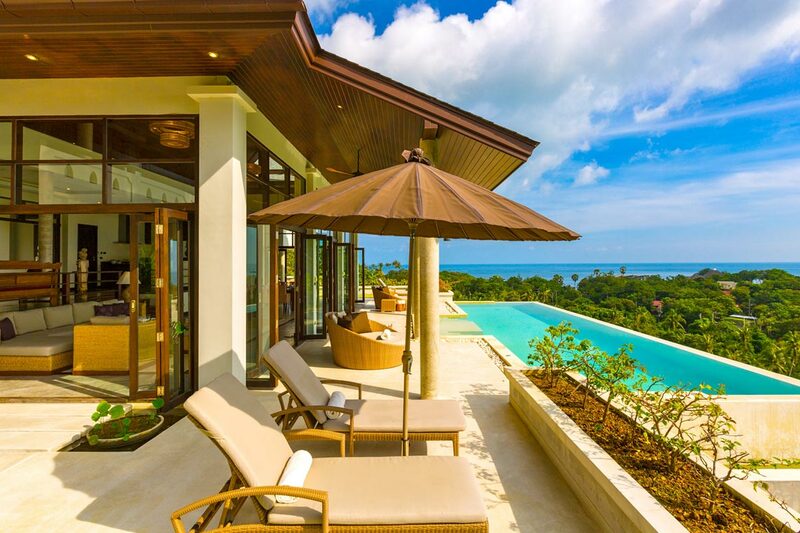 The design of the villa plus its amenities makes this villa extra attractive, providing all you need for a relaxing luxury villa in Koh Samui. 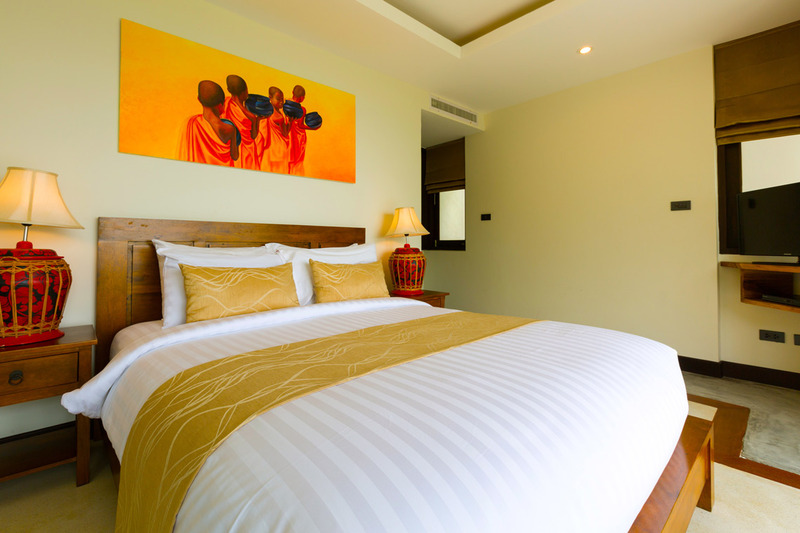 The bedrooms of the villa are very elegant. 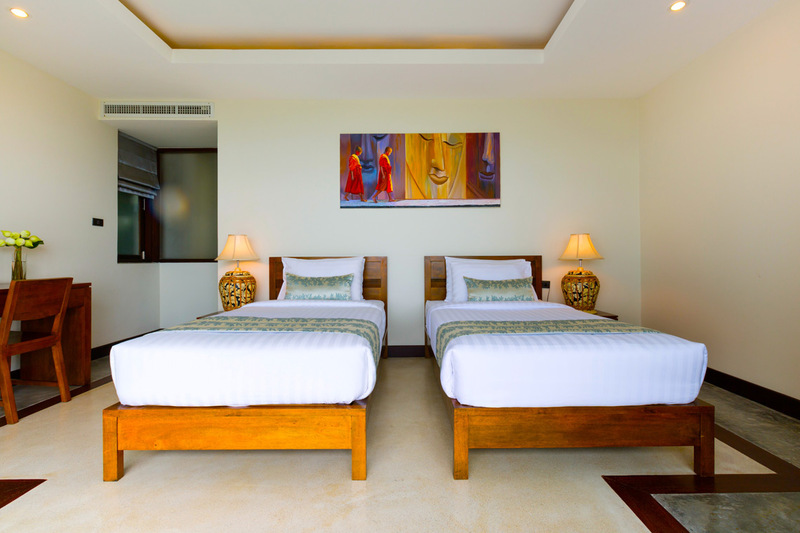 Soft neutral tones that make the room bright, and furnished tastefully to blend in with the décor. 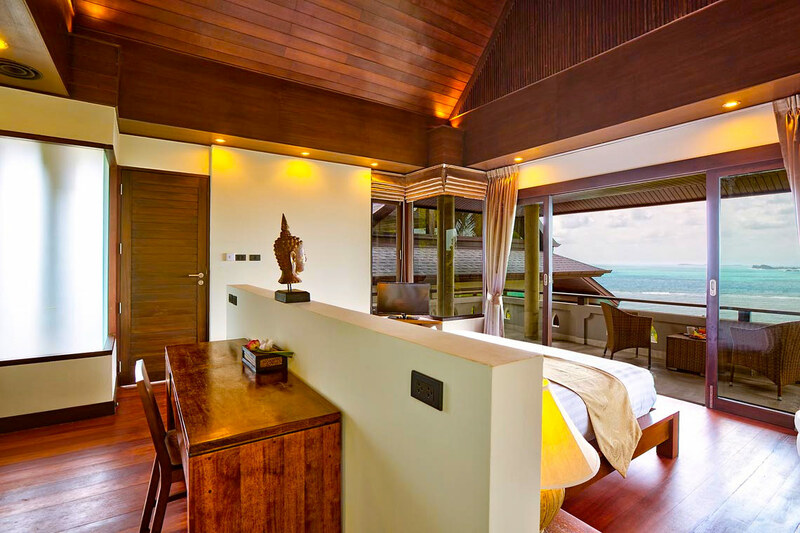 All of the rooms offer amazing views and have sliding doors leading to the terrace and the large swimming pool. 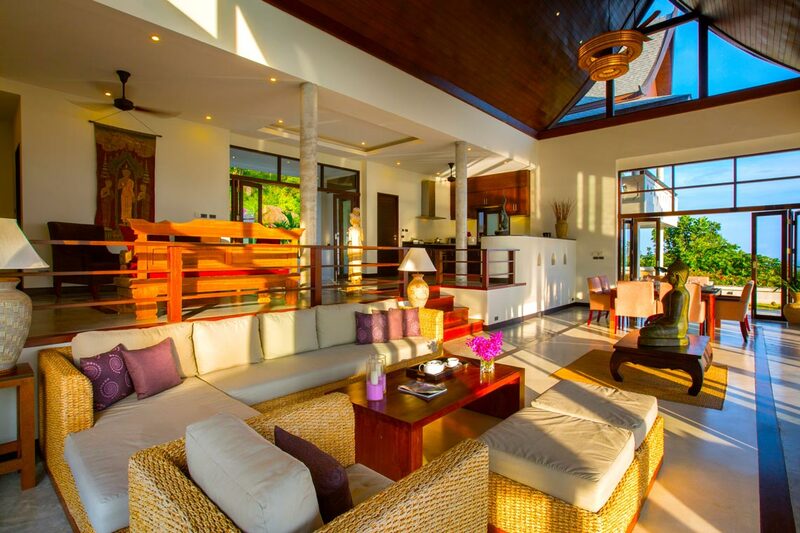 The living area bright, very spacious with high ceilings and a smart open layout design. 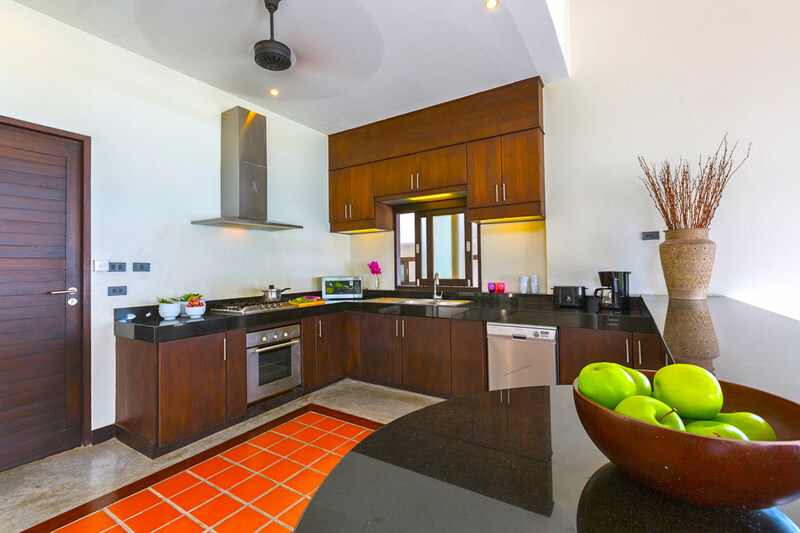 The dining area is next to the lounge and the fully equipped kitchen right behind it. 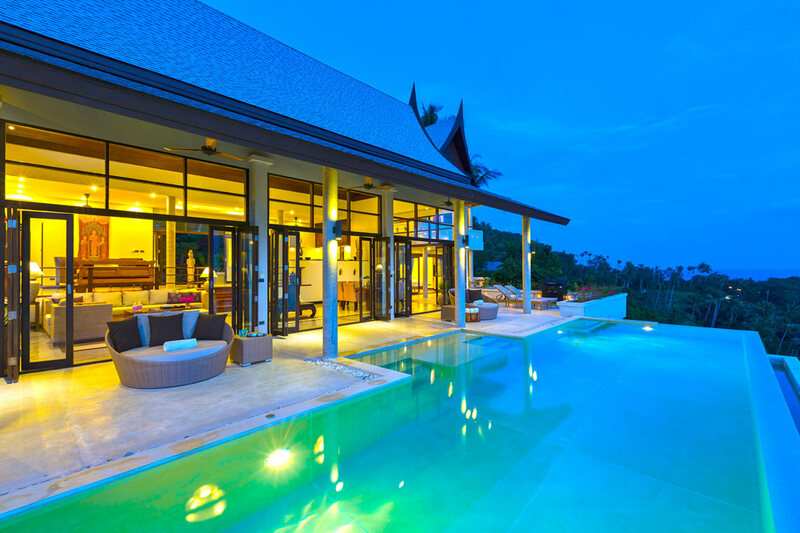 Entertainment facilities are available at the villa, with big TV screen and internet connection. 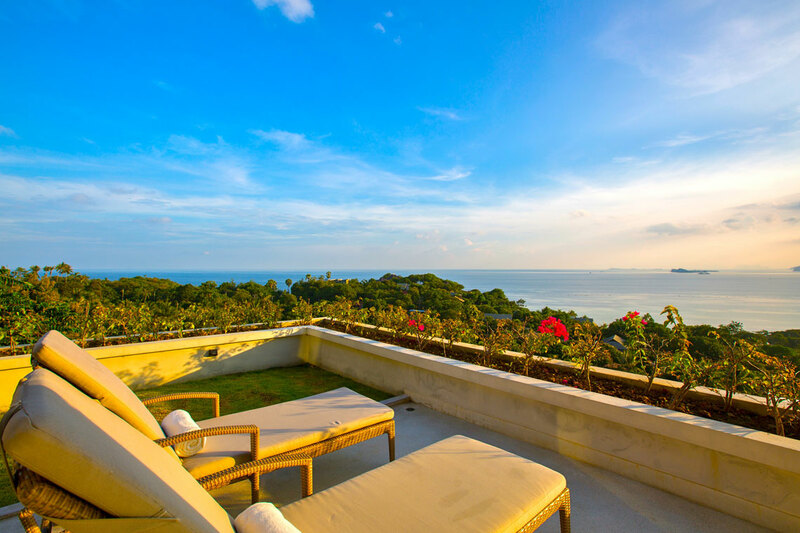 Last but not least, the outdoor area consists of lounging areas and a private swimming pool overlooking the sea.